Boom. Cadburry creme egg McFlurry. I mean, really. I stopped dead in my tracks and stared in awe at this poster in the window of a Mc Donald’s near Piccadilly Circus. I was all Pepe Le Pew over this. And yes, I absolutely went in and got one. And it was glorious. Mc Donald’s in America, can we please get with it and bring this stateside? You’d definitely have one more regular customer right here. 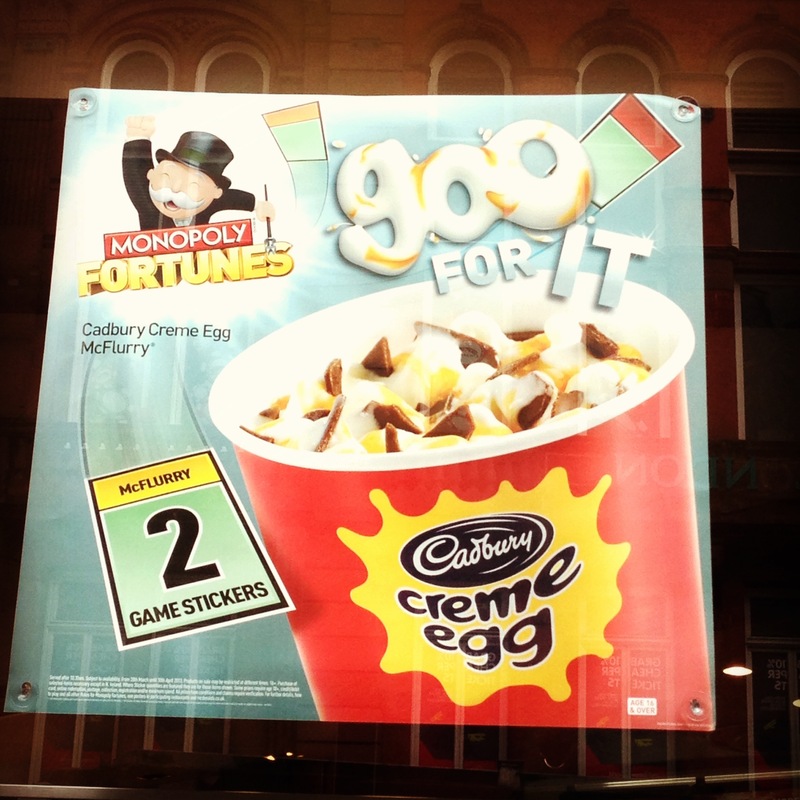 This entry was posted in Uncategorized and tagged Cadbury creme eggs, chocolate, England, London, Mc Donald's, Mc Flurry. Bookmark the permalink. ← Five for Friday… returns!